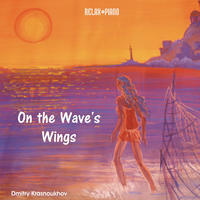 Dmitry Krasnoukhov : On the Wave's Wings. The Crimea is more than just a geopolitically important stretch of land between Ukraine and Russia. This region is known for its beautiful landscapes and its vibrant culture. It is where Dmitry is part of musical life every summer. Hence, getting inspired by the Crimea and expressing things in impressive piano pieces in classical style would seem like the most natural thing in the universe. On the Wave's Wings, Dmitry is doing exactly that: the album reflects impressions of summer trips to the Crimea with its immense vastness, width and soaring vistas. An album for dreamers, On the Wave's Wings is great for relaxation and daydreaming. Are you ready for a fascinating journey? Then, you should give this album a listen!